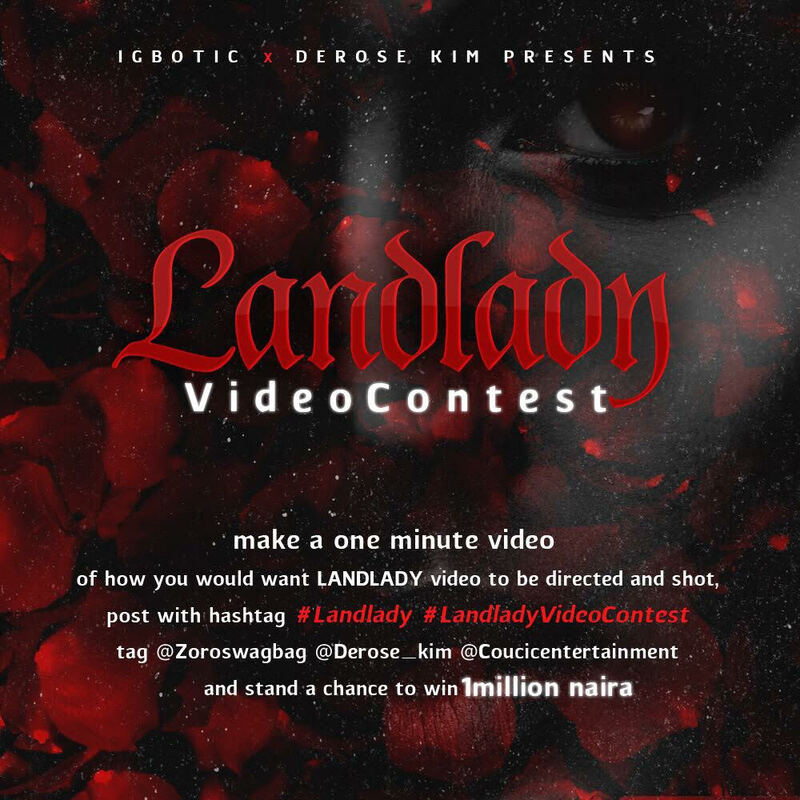 #MUSIC LOVERS here is your chance to Win 1million naira in the Landlady video contest! Homevideo#MUSIC LOVERS here is your chance to Win 1million naira in the Landlady video contest! Often times people criticize videos we put out there, saying how much was needed to be done and what not; therefore we've created an opportunity for you to show us how it's done. Here's how it works! You could sing or act or dance or mimic etc just anything that interprets it the way you'll love it (individual or group submission is welcomed). 2. Tag @coucicentertainment @zoroswagbag and @derose_kim with the hashtag #zorolandlady #landladyvideocontest. NOTE: Entries will last for ten days only. 3. @coucicentertainment will solely select the best 20 videos based on its dopeness, uniqueness and creativity which will be put up on @zoroswagbag 's Instagram page so make sure you give it your best. 4. The 20 videos will be on @zoroswagbag page for 5 days then we will have our team of judges which includes @Mexemania @Nedu_wazobiafm and @Donflexx rate the videos accordingly. It would go as follows: The judges will personally rate each video from 1 - 100 and their rates will be summed up and times by 100 in addition to the number of likes the video gets and divided by two to give each its points at the last day of the competition (judges rates X 100 + video likes divided by 2 = video points). The video with the third highest points gets #200,000 respectively.